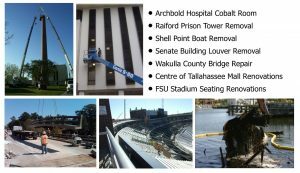 Listed below are some of the special projects in which Great Southern Demolition has become well-known. Each project is different in that it presented its own unique challenges. No matter how detailed or complicated the demolition task, we can help. Let our 20+ years of experience work for you!